While one of the major features of WordPress is its accessibility, it’s not uncommon to find new users to the platform struggling with the basics. For example, critical tasks such as changing your header image in WordPress hide behind layers of menus, which can lead to frustration when you just want to change your header quickly and can’t find the option. Since the header is one of the most important parts of your site, knowing how to change it in WordPress is of the utmost importance. 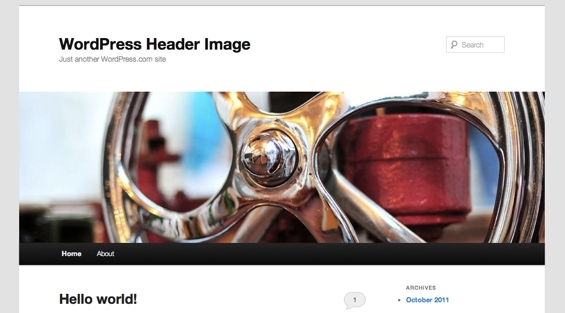 The header is the first thing your reader will see when he visits your WordPress site. As such, you need to ensure that your header catches the attention of your readers and doesn’t alienate them in any way. Make sure your header is clean and free of clutter, features vibrant colors that instantly portray your brand and has a logo that is clearly visible in the center of the header. If your reader can’t tell what your website is when looking at the header, the chances are good that visitor won’t return. Don’t place curse words or any offensive imagery in the header, as that will turn readers away before they even click on your first piece of content. What Images Can I Use For My Header? You can use any image for your header, with the only rule being that the picture is either on your computer’s hard drive or already uploaded to your WordPress account. You cannot paste the URL of an image nor can you drag and drop a picture from a website. To find your header images quickly, create a “WordPress Header” folder on your computer and place the images you want to use in there. 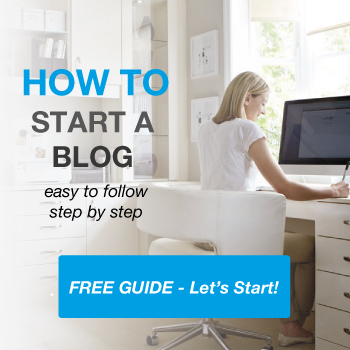 If you haven’t already logged into your WordPress account, do so now. You can’t change the header on your site without logging in. 2) Hover over the appearance menu on the left side of the screen, then click the header button on the menu that appears. 3) Click the “Add New Image” button. 4) Select a file you want to use as your new header. In the Upload Files box that appears after clicking the “Add New Image” button, you can select a file from your PC to use as your header. Alternatively, you can click the “Media Library” tab, which will allow you to choose any image that you already uploaded to your WordPress site. If there are no items in your media library, WordPress will direct you to the Upload Files area instead. 5) Add a title, caption, alt text, description to your header. The title is the name of the header that will appear in your media library, and the description is your personal description of your header that only you can see. Alt text is text that will appear when a reader hovers their cursor over your header, and the caption is what displays under a picture once you upload it. However, captions will not appear on a header so you can leave this box blank. 6) Click the “Select and Crop” button to resize your header. After resizing your image, click the “Crop Image” button to apply your changes. The resolution of your header is dependent on what WordPress theme you are running. For example, while a resolution of 1200 x 280 is perfect for one theme, it might look pixelated or stretched out on another theme. Consult your theme’s instructions to find the perfect resolution. 7) Click the “Save and Publish” button to instantly add the new header to your WordPress website. However, if you don’t like how your header looks and want to start over, you can click the “Hide Image” button to launch the process over from the beginning. There is no limit to how often you can change your header. If you don’t like how your header looks, feel free to change it! Unfortunately, there is no quick way to change your header; you’ll need to repeat this process every time you change your header image. However, after changing your header a few times, these steps will feel like second nature, and you’ll soon find yourself changing the header on WordPress at record speeds.